It’s almost time to celebrate America’s favorite pie, the traditional and famous apple pie. As the saying goes, there are few things more American than a slice of apple pie. What’s not to love about the buttery crust filled with sugary, cinnamon goodness? Grab a fork and napkin because we’ll have you craving a slice in no time, if you’re not already. Apple pie is a dessert that’s been enjoyed by many for hundreds of years. There are more than 2,000 varieties of apples. 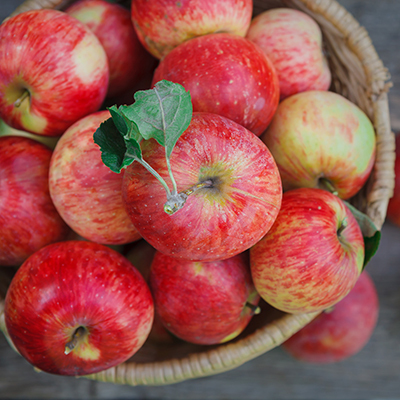 Apples are not only delicious, they are also a good source of fiber and contain no cholesterol. An apple tree can take several years to produce its first fruit. Not only is apple pie delicious, it’s also easy to make. Traditionally, apple pie includes apples, sugar, butter, cinnamon and pie crust. However, it can be made in several different ways and variations, so impress your friends and family with some new ways to make the dessert. Looking for a sweet and yummy dessert? 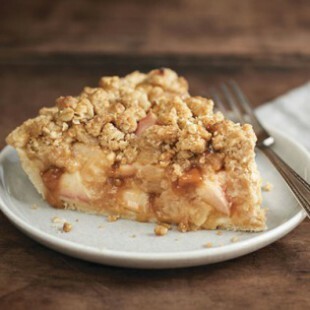 Try our favorite, caramel apple pie. You won’t be disappointed, we promise! Pair it with a glass of milk or a scoop of vanilla ice cream. Match made in heaven? We think so. Don’t want to have a slice of pie? 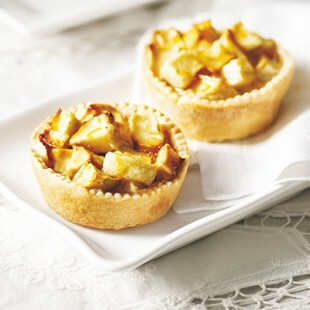 Try our mini apple tartlets. These treats are different than a slice of your old-fashioned pie, but still delicious. Skip the fork and plate and prepare these small desserts for your guests at your next dinner party. Why not go all out for National Apple Pie Day? 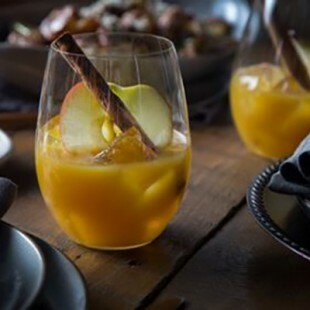 Turn your apple pie into a beverage with our apple pie punch recipe. Think apple cider with a twist. If you’re really a fan of all things apple, you’ll want to give this drink a try. Have you tried any of these recipes before? Do you have some fun twists to apple pie or maybe a family recipe you want to share with us? We would love to hear them in the comments below.